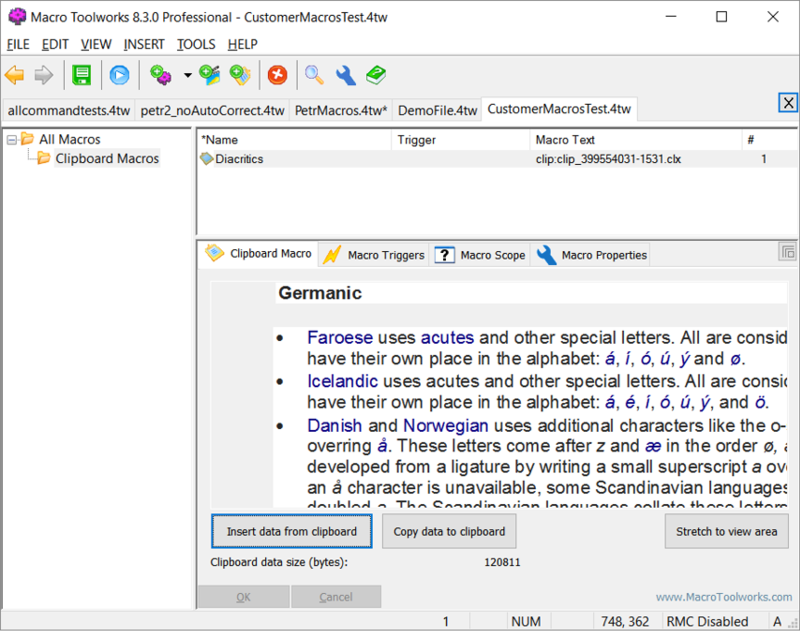 Macro Toolworks and Perfect Keyboard Forums - How can I use text with diacritic in my macros? 1. In your rich text editor (such as MS Word, Outlook) select the text you want to have as a macro text to playback. 2. Copy the selected text to clipboard. 3. Click the "Add Clipboard Macro" button as shown on the screenshot above. 5. Assign a name to the macro and triggers the same you do with other macros and use the macro. When you execute the macro it will simply paste the content. You can also call the clipboard macro as part of other macro using <run> command. This way it is possible to call the clipboard macro as a part of other macro.